A goddess in need of some solitude. A bear shifter in search of a connection. All seems perfect until a secret threatens to destroy it all. 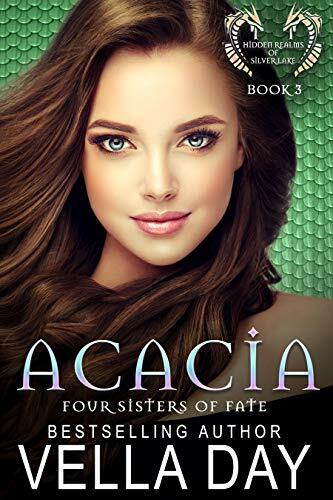 Acacia Faiten has been discontent for, oh, at least one hundred years. Being an immortal goddess of Fate isn't what it's all cracked up to be. It might sound rewarding, but it only makes her realize what she's missing--someone to love. Then she meets the hunky werebear Will King, who has good looks to spare. Score! Will might own his own company, but nothing seems to interest him anymore. The solution? He needs to find his mate. As luck would have it, while on a camping trip, what does he find? Her! In the site next to his no less is Acacia, a woman who is incredibly beautiful. Be still his beating heart. So what if she has no idea how to light a stove? She's the one! Life can't get any better until she proves she's not really human, and his hopes are shattered. Is there anything Acacia can do to convince him they belong together? Forever.